Do I Need a Lawyer to Get Compensation for a Whiplash Injury? Do I Need an Attorney to Get Compensation for a Whiplash Injury? One of the most common types of injuries that people sustain in a car crash is Whiplash Associated Disorder (WAD). Commonly referred to simply as whiplash, WAD is more than just a temporary pain. Whiplash can result in long-lasting problems that affect your ability to work and live life as you did before the accident. The damage is only exacerbated when the whiplash is not identified early and when those affected do not received the compensation necessary to help in recovery. If you’ve suffered a whiplash injury because of a car crash, you’re probably wondering whether you can be compensated. 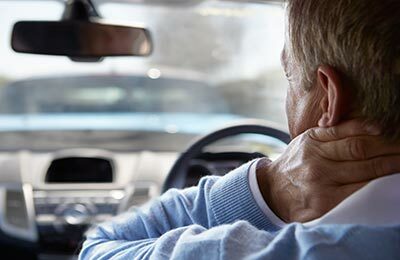 In this article we’ll examine how to identify a whiplash injury and what steps you need to take to receive compensation for the damages you’ve suffered. How Long do the Symptoms of Whiplash Last? Need help with your whiplash injury claim? Whiplash is caused by a quick jolt to the neck and shoulders, specifically when the head continues moving forward while the body remains still. The severity of a whiplash injury depends on the speed and force involved, but all instances of WAD typically results in sprains or tears to the ligaments, tendons, and muscles in the neck and shoulders. 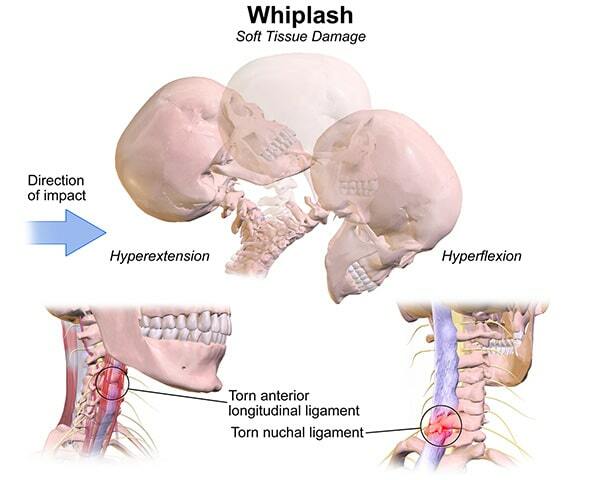 Whiplash can occur in any type of car accident. Drivers and passengers are usually wearing a seatbelt that holds the body in place while the head and neck remain free to move. When a car comes to a sudden stop in a collision, the body stops quickly while the head does not. This is particularly common in rear-end accidents where the force from behind causes the head and neck to travel forward shortly behind the body before snapping fiercely. Whiplash may not lead to any immediate outward injury or symptoms. In the aftermath of a car accident the brain perceives danger causing the body to release hormones (cortisol and adrenaline) that cover up pain. For this reason, even if you do not immediately feel any injury, it is important to receive medical attention after an accident. It is always best to secure medical support immediately after a collision so that doctors can perform MRIs and CT scans to determine if actual damage was done. At the very least, if you experience any of these or similar symptoms in the aftermath of a car accident, you should get medical help. Fortunately, most victims of whiplash are relieved of its worst symptoms from the injury within a few weeks. However, it is not uncommon for people to suffer with the effects whiplash for months or ever years after the incident. Under the civil law you are entitled to compensation for the losses you suffer as a result of another’s negligence. Virtually all car accidents include some negligence or unreasonable actions which led to the incident. This is particularly true in the rear-end accidents that most often lead to whiplash. For example, if the driver causing the accident was not looking at the road, following too closely, driving drunk, or speeding, then they may be held responsible for paying for the consequences of the accident. Those consequences would include the pain, suffering, medical bills associated with whiplash. As a practical matter, insurance companies play a pivotal role in determining what compensation is received and how difficult the process is to secure the redress. Your injury attorney will work with you on any negotiation or settlement process. However, from the very beginning of the accident there are steps that you can take to facilitate a full and fair recovery for your whiplash injuries. Do not delay seeking medical treatment. This is not only to ensure proper treatment but also to validate the seriousness of the damage in subsequent insurance claim negotiations. If there is a significant gap between the time of the accident and the first medical contact, then the perception may be created that the injury in minor or non-existent. A claims adjuster may also argue that the gap in time suggests that the ultimate injury was caused by an intervening cause (another incident), instead of the car accident in question. Throughout the process of obtaining medical treatment, it is critical to save all information related to your injury. That is because an insurance adjuster will require that you actually prove the extent of your injuries. That proof can include information like hospital admission forms, radiology test results, doctor’s notes, and similar data. It is also important to diligently continue medical treatment as identified by your medical professional (while preserving records of that continued treatment). This is all in an effort to ensure you have proof of an actual injury requiring real, continued medical care. It may be important to show that another party was fully or partially responsible for the accident. Many different factors will contribute to the determination of fault. If proof is later required it is helpful to have photos of the incident and information from witnesses about what they saw. In addition, your own memory may lapse in the days or weeks after the crash. It is therefore helpful to literally write down what you recall about the incident as soon as possible after the accident. An underlying theme in all accident cases–including those where whiplash injuries are present–is to act swiftly. From securing medical help to obtaining legal representation, there is nothing to be gained by waiting to act. The typical recovery process begins by filing a claim with an insurance company. If the claim is rejected or fair agreement cannot be secured, then an actual lawsuit may need to be filed. There are statutes of limitations which limit when those suits can be heard. The bottom line: Don’t delay to protect your rights. If you’re struggling with symptoms related to a whiplash injury we advise you to speak with a qualified car accident lawyer about your options for compensation. A lawyer will help protect your rights and give you honest advice as to whether you may be able to get compensation for your whiplash injuries.